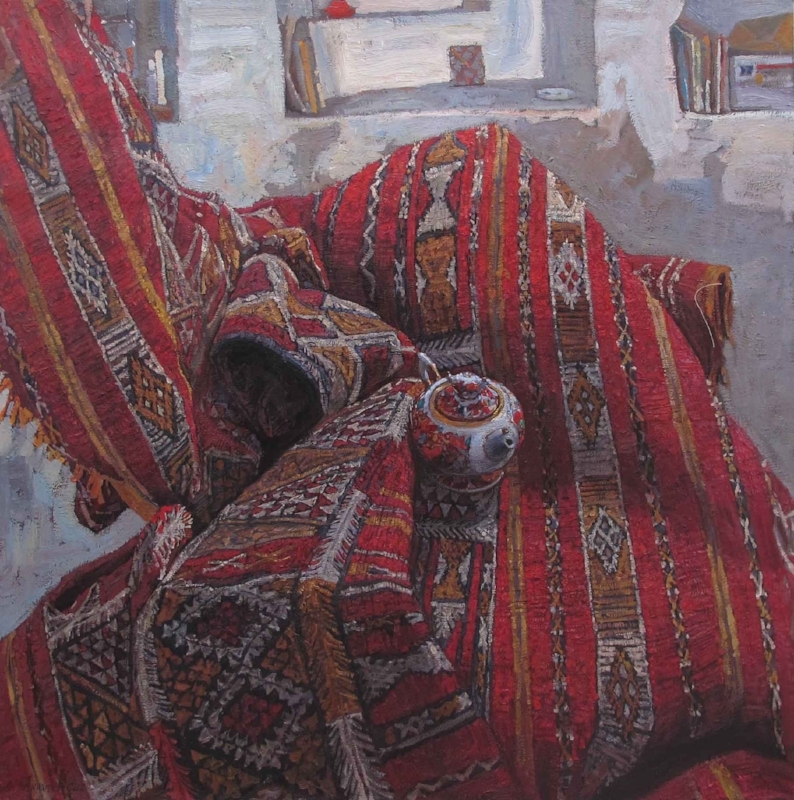 Painted in honor of Andrei A. Mylnikov, artist and professor at the Russian Academy, who mentored both me and my wife. Here included are his watercolors, ink drawings, and a letter. My wife always buys this luxurious stationary when we’re in Italy. Painted in my Spanish studio. My tiny reflection can be found in a distant mirror. Nepalese hand-made papers provided the counterpoint to the ornament of the Russian porcelain. 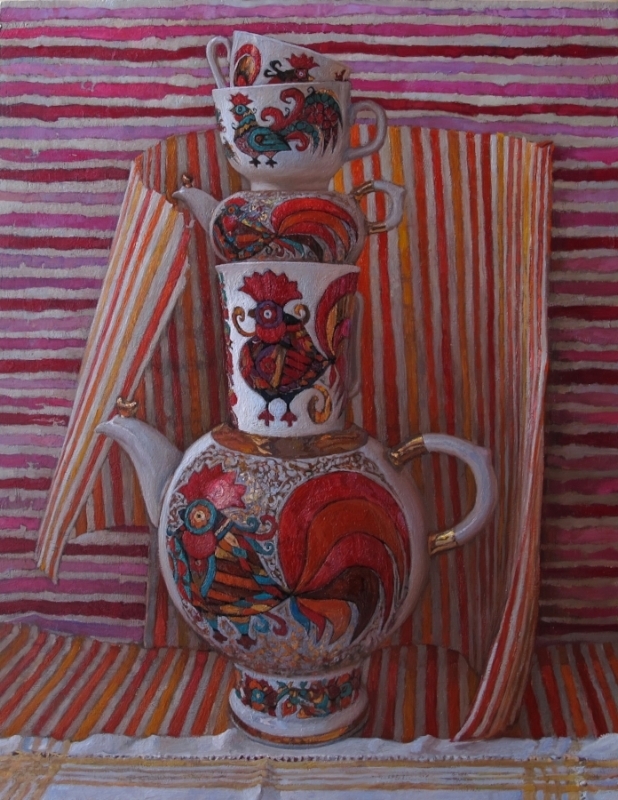 Still tangentially related to the Russian Teapot series, as the minescule porcelain lid perches above the quince. I thought of this still life as a voluptuous, curvy woman who knows that she looks great, and she feels great. 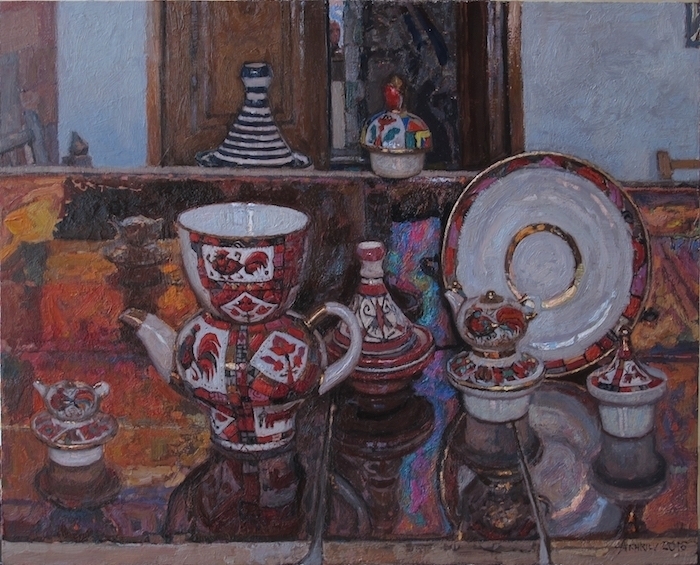 Winner, Best Still Life at Greenhouse Gallery’s Salon International. Painted together with my son, artist Timur Akhriev, in my Spanish studio. 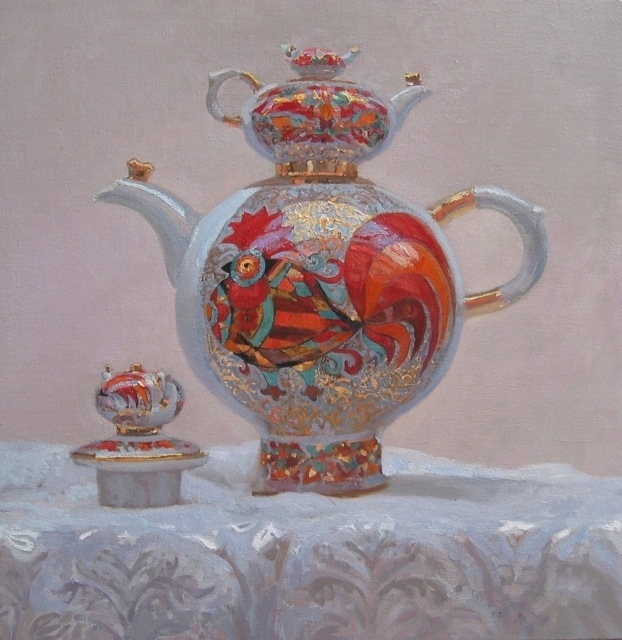 This piece is a precursor to the Russian Teapot series. One of my first still life painted in our Spanish studios. It was autumn, as witnessed by the quince, persimmons and pomegranates. 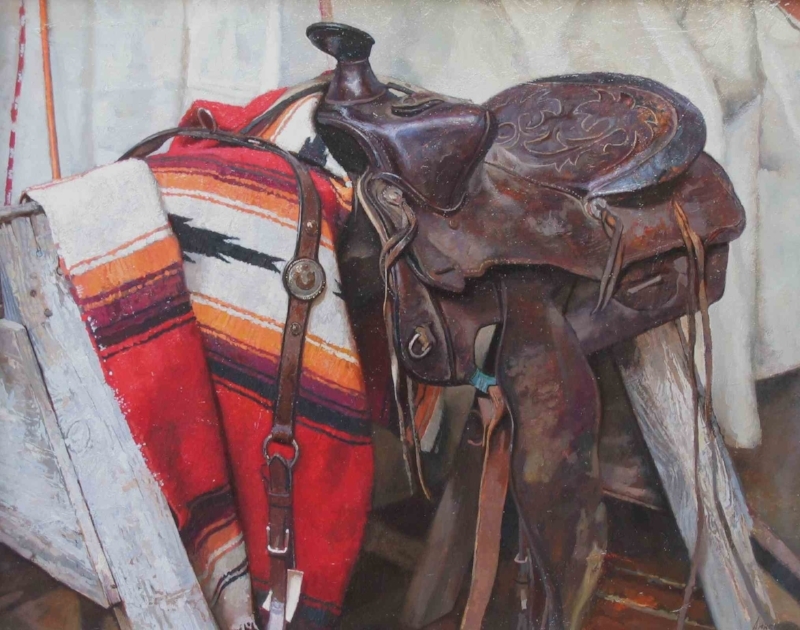 My sister-in-law’s old Western saddle painted in the barn we had twenty years ago.